My ngẫu nhiên FotC Song Battle #7. Which one? My ngẫu nhiên FotC Song Battle #8. Which one? My ngẫu nhiên FotC Song Battle #10. Which one? Have bạn ever met your "most beauiful girl (in the room)"? '"No Albi, bạn didn't kill me. bạn just left me very badly burnt and disfigured", laughed the boy'. Well there was definitely plenty of laughing last night, when I was privileged enough to attend a Flight of the Concords concert. The hiển thị was being held as a fundraiser for Jemaine's former school, Makoura College, as a falling roll may cause it to close. The Concords raised over $70,000 for the school. I was so thrilled when they played Albi the Racist Dragon, which is without a doubt one of my yêu thích Concord's songs. If anyone watches SportsCenter, they might have noticed that the anchors have been quoting the hiển thị quite often now, calling Justin Mourneau "the Hiphopopotamus," proclaming that it's "Business time" and most recently that the umpire tells Ozzie Guillen to "be thêm constructive with your feedback" before ejecting him. Petition Just tham gia ya Turkey!! 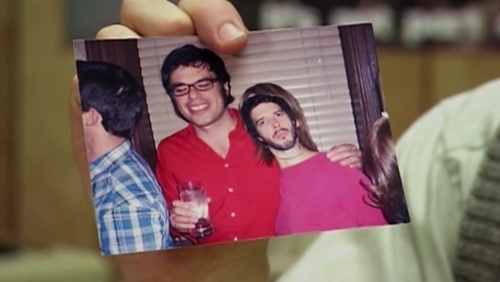 What was the name of Jemaine's girlfriend in the picture that had Bret's head superimposed over her face?